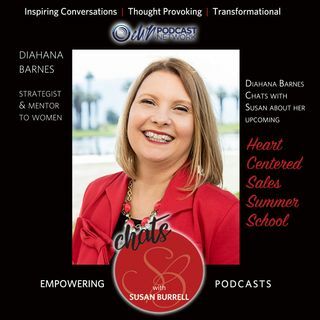 Diahana Barnes, also known as the Harmonious CEO, chats with Susan about Heart Centered Sales. She brings both spiritual alignment and the flow of intention into her business. In this episode she shares how she works with clients, teaching them to embrace their business from an open heart space, and how her "Heart Centered Sales Summer School" came about.